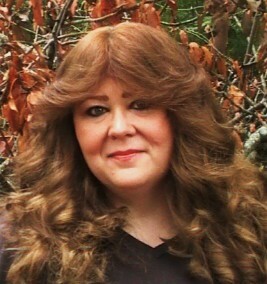 I am delighted to introduce to you author, Robyn Leatherman. She is our first featured artist in Southern Creatives. What sparked your interest for your debut novel, Summer Rain? My paternal grandmother told me a certain story about being Cherokee when I was young; it fascinated me and made me interested in the culture. As a result, I paid just a bit more attention to Native American history in school. As a student of Tsalagi (the native tongue of the Cherokee), our instructor also instilled a deep respect for the culture. 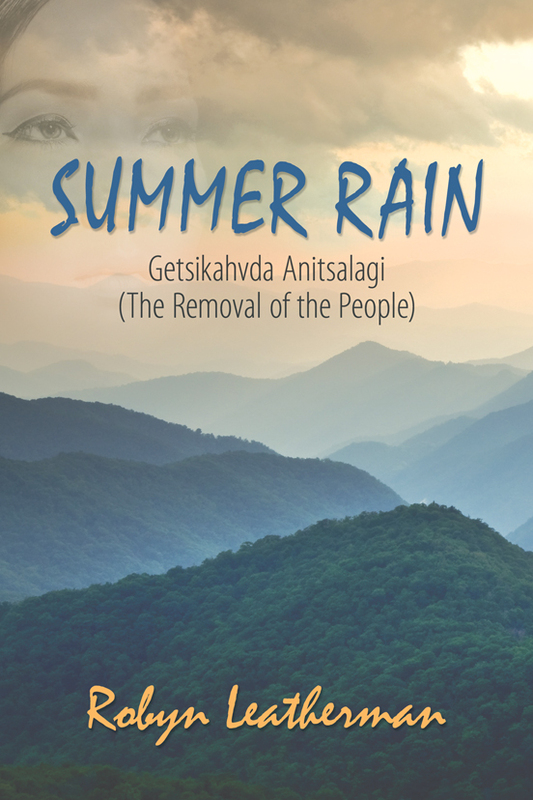 Summer Rain is a historical romance about the Cherokee Indians and the Trail of Tears. How did you approach your research for this novel? I read several books about the Cherokee culture and Native Americans in general; I logged the facts that I gathered into a notebook and would allow myself to write my own thoughts down under each fact. The notebook looked like a second-grader’s by the time it was finished, highlights and arrows drawn on almost every page. The internet is a great source of information, as well. I also had the support of a friend who speaks the language fluently and is a full-blooded Cherokee. What did you learn about yourself from writing this novel? I learned many things: I tend to be a perfectionist, so self-patience became my most difficult lesson, but also learned was the fact that if I had been saving everything I’d written over the years, I would have several pieces of work that only required some editing and polishing. I now tend to keep even the first few chapters of every writing project. I also learned that although the internet is a useful tool, there is something to be said for those days when I do not use it. If I begin my morning by pulling up twitter, I feel obligated to be on there all day. My writing suffers – and my writing is the reason for having an account with twitter in the first place. I’ve learned that it really is okay to spend an entire couple of days just writing – or reading! Is there anything you will do differently as you prepare to write your second novel? I have already written 65% of my next novel, according to my progress bar. What I did differently with this novel, was write the entire story on one computer. *See my blog post here for a more detailed explanation. * For my next novel, I’m thinking about trying out some type of software program such as Storybook or yWriter. You are participating in JuNoWriMo this year. Are you staying in the same genre and/or same time period? Or are you choosing something different? Here’s the general rule of thumb my readers can count on: anytime I’m participating in JuNoWriMo, NaNoWriMo, or any other short-term writing competition, it will be written out of my historical genre. These time-sensitive writing sprints don’t allow me to become overly wrapped up in details, so they will generally always be a YA or children’s project. Being the perfectionist that I am, I spend a lot of time researching things. For instance, in my current novel, I casually mentioned that a ranch hand was using barbed wire. My mind would not allow me to write one more word until I researched whether or not barbed wire was even used in that period or in that particular part of the country yet, or if it was even called barbed wire at that time. What are some things you do to get your creative MOJO going? Music is the ticket to my motivation; being a fan of boy bands since my teens, my MP3 player is loaded with tunes that might have some people giggling. Coffee is also a non-elective source of creativity. Favorite book or author/ why? There are too many to list; this may sound borderline-nerd, but there is one book that stands out in my mind as the one that made me interested in cultures and the people who shape them. It was my mother’s Cultural Anthropology college textbook; I was in grade school when she brought it home. I still have that book. The other book that I credit for giving me the motivation to write historical novels myself was Child of the Morning, by Pauline Gedge. This is an intricately written story about Hatshepsut, Egypt’s only woman Pharaoh and I first read it at age 14. The mannerisms of each character, the way Pauline drew me into the book by causing me to smell the burning incense and hear sounds of shuffling feet – it made me want to recreate that experience for someone else. Oh no … being a fan of country music, pop, classic rock and even some classical and jazz, that’s a loaded question. For a couple of years now, my favorite song has been Good To Meet You by School Boy Humor. This is a fun, upbeat song, the lyrics can be applied to many situations in my life and it is the most-played song on my MP3 player. As the kids say these days, don’t judge me. What are your thoughts on the importance of social media as an author? I have two things to add. First, I hope to encourage every person who wants to become an author, to never give up on that desire and to begin writing when that spark is ignited within your head. If you wait until the timing is right in your life, you will never start. It wasn’t until after my daughter had graduated from high school that I allowed myself to pursue my own goals and when I look back – Summer Rain could have been my fifth published novel instead of my first. In addition, I would like to mention my respect for self-published authors. When I was in my 20s, I never heard of someone self-publishing without some aura of shame associated with it – nowadays, the self-published authors are proving to be the savvy ones who are gaining the attention of some major agents and publishing houses. Bravo! Many thanks to Robyn for giving her time for this interview. Robyn is giving away a signed paperback copy of her debut novel, Summer Rain. The winner will be chosen on Sunday evening, May 27! Robyn would love to connect with you! This entry was posted in Southern Creatives and tagged author interview, cherokee, debut novel, fiction, southern creatives, southern fiction, trail of tears, writing. Bookmark the permalink. I remember a promotion where someone walked the streets in their underwear carrying the promotion sign. Oh … wow. I wonder what the book was about?!! Did the author actually go out in his/her undies or hire someone? hahaha Now that is an unforgettable promotion! Thanks so much for sharing some things about yourself and your work. “Summer Rain” sounds like a wonderful book. And thanks, Melinda, for posting this great interview! Melinda, Thanks so much for the interview and helping me get the word out about Summer Rain. You’re good people, as my mamma would say. Robyn and Melinda, this was wonderful and insightful interview. Thanks for sharing your tips put forth for your first novel. I am too such a stickler about a particular word. I have several thesauruses, even an old Funk & Wagnall’s from the 40s! I’ve added Summer Rain to my list as well. I learned years ago about my Cherokee ancestry as a child, but I seemed to be only one interested back then, until my aunt started digging in more. I’m still learning and I remain intrigued and proud.